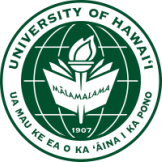 The Society of American Archivists University of Hawai'i Student Chapter was established in 2007. The purpose of forming this student chapter was to encourage discussion and awareness of archival issues and the archival profession in Hawaii, across the United States and around the world. Today, we are fulfilling our purpose by providing our members with opportunities to explore local archives through tours and service projects, attend archival conferences and network with local archivists to promote a stronger archivist community within the islands of Hawai'i. This student chapter is open to anyone in the LIS program regardless of chosen track or emphasis. SAA-SC will provide students with a strong understanding of the world of archives through community service, professional development and contact building.